Birthdays are truly a special day. A time to welcome a new season in your life, a time to reflect on your past, and to set new goals. This makes birthdays a perfect occasion to celebrate with your friends and family. Having a birthday catering service is the perfect way to celebrate your special day! It’s normal to feel stressed or overwhelmed with all the birthday preparations. But because its your day, this should not happen. You should be able to have fun, relax, and fully enjoy without any worries. On your birthday, you want the entire day to be about you. You want to be free to talk to people and have fun without worrying about serving food, drinks, cleaning, etc. Birthday catering services will take 100% care of everything. No more worrying about preparing meals, serving your guests, or cleaning the next day. Your birthday is a time to treat yourself. With birthday catering services, your day will be just perfect. 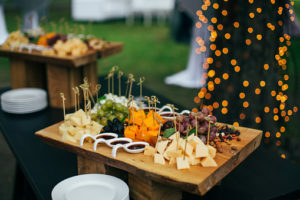 Why get a birthday catering service? The top reason for you to get a birthday catering service is for the food! Catering services have a lot of experience preparing menus and delicious food. They know how much food to serve, how to serve it, and what drinks to pair it with. Depending on what type of food you want, they will provide appropriate recommendations. 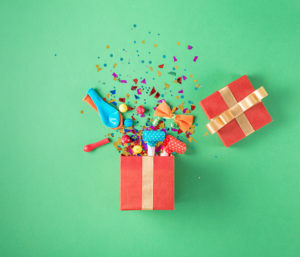 When it comes to your birthday celebration, there is a lot of preparation to do. By hiring a birthday catering service, there is no need for you to worry about all the things you have to do before and on your big day. You will save time deciding all the different food that will be serve, preparing it, AND serving it. This will allow you to have more time to relax before your birthday and have the best time that day. # 3 Ensures everyone is satisfied, especially you! Birthday catering services will make sure every one of your guests is satisfied. There will be no worrying about your guests, its a time for you to celebrate! Birthday catering services will guarantee you an amazing birthday. When the big day comes, you can wake up, have a delicious breakfast and relax before the guests arrive. You don’t have to worry about setting up the table, finishing last meal preparations, or decorating. Birthday catering services will take care of all of this. You just sit, relax, and enjoy. # 5 No stress or worries! All of the above come to one big reason to hire a birthday catering. There is no time to stress or worry! There is only time to have fun! Birthday catering services will guarantee a successful celebration. It will be a day to remember. Treat yourself and have fun. Take the stress off! It’s your special day and you deserve to enjoy it!